This group begins Friday, March 9th and will occur every other Friday. It's located on campus at RSC. Please contact us if childcare is needed. Our senior leaders, Randy and April Lopshire, will be in Sweden again for two weeks at the beginning of March to continue in their work of bringing revival to the nation of Sweden! We need your support! 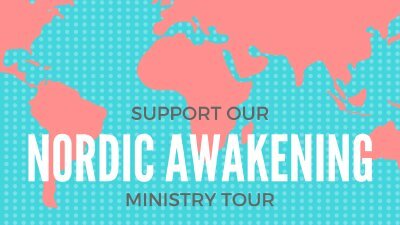 Please prayerfully consider sowing financially into this mission by designating your offering towards "Sweden" on the app or on the giving envelope in service. Thank you for partnering with us to spread the gospel abroad! We are now taking applications for fellowship, interest, or hobby groups that can take place anywhere on various days/times of the week. 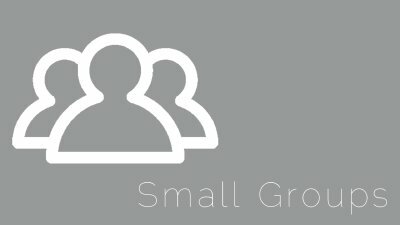 Small groups are not required to meet weekly and don't require a curriculum. If you're interested in leading a group, please fill out an application at the connections desk. We're replacing our 20+ year old chairs for our sanctuary with comfy new chairs that will look and feel great, and allow us to fit more chairs in our sanctuary. We're making room! 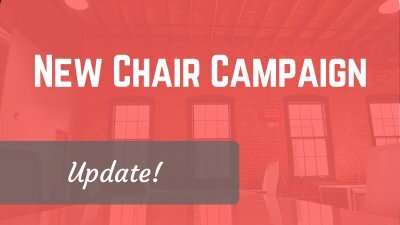 Please partner with us on this campaign by giving towards chairs today. The chairs cost $35 each. Current update: 276! We're almost there! 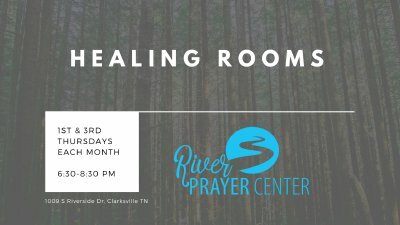 River Prayer Center, members of the International Association of Healing Rooms, is open for people in need of prayer on the first and third Thursday of each month from 6:30-8:30 p.m. at the cafe building next door to Riverside Church. If you would like prayer, please come! Listen for announcements on future Anchor Groups semesters! 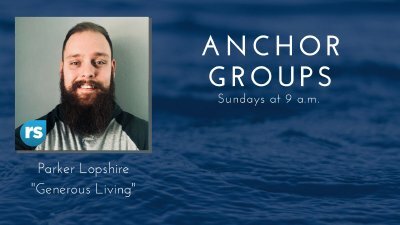 Anchor Groups are discipleship focused, curriculum based groups designed to help you further along in your journey of Christian living. Information about each of the available groups can be found under the Groups tab from the home page of the app. Bring your kids out for a fun time of age-appropriate teaching and worship in a wholesome and safe environment. We meet every Sunday from 5:00-7:00 pm. Check the church calendar for dates--there are weeks off occasionally! 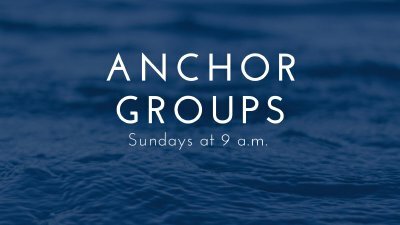 Anchor Groups returning in February. Check back for information. This is our biggest outreach endeavor and we currently do this event 3-4 times a year. Our partnership with Second Harvest enables us to give away anywhere from 15,000 to 22,000 pounds of food to hungry people in our community from right here on our church parking lot. This food includes fresh produce, dairy, breads, and much more, including non-perishable items as well. It is a privilege to feed our city! 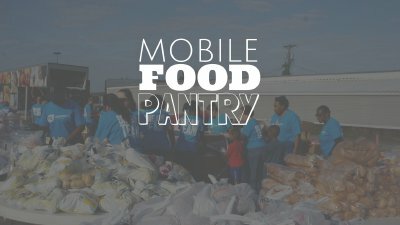 People wanting to come get food should bring an ID and a basket or box the size of a laundry basket to collect the food items. 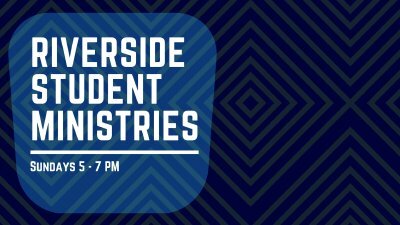 People wanting to get involved and help serve can sign up at the connections desk at church or contact the church office by email. You can also give toward this campaign in person, online, or on the app.  For upcoming dates, please check out our announcements/events. Once again, our pastors will be traveling to Sweden to continue the work of the Lord in that nation. Sweden is experiencing an awakening, the revival the Lord's people in that nation have been praying and believing for for many years. You can get involved with this ministry opportunity by helping us send our pastors out on this ministry trip. You're sowing into good ground, and we appreciate your generosity! This group is dedicated to discussion about God and life, and how to walk out Christianity as men. El amor y la protección son alimento espiritual y vitales para cada nuevo cristiano. Estas sesiones ayudarán a los nuevos en la fe cristiana a encontrar estos fundamentos para la supervivencia. Al estudiar las Escrituras y completar este curso, los cristianos encontrarán y experimentarán el amor de Dios, recibirán alimento espiritual y podrán descansar en el cuidado protector del Señor y Su Palabra. Este curso de estudio dinámico ayudará a los lectores a basarse en los fundamentos de la fe cristiana y aprender principios importantes vitales para los creyentes, incluyendo: - Cómo convertirse en un cristiano - Cómo estar seguro de que usted es un cristiano - Cómo desarrollar su relación con Dios - Cómo desarrollar su vida de oración - cómo oír la voz de Dios - cómo obedecer a Dios - Cómo experimentar el Amor y el Perdón de Dios - Cómo llenarse con el Espíritu Santo - Cómo estar seguro de que está lleno del Espíritu Santo- Cómo crecer y desarrollar su fe - cómo experimentar la vida abundante - cómo estar protegido- cómo servir a Dios También está incluida la enseñanza perspicaz sobre: ​​- Cómo reconocer las falsas doctrinas - Cómo encontrar una buena iglesia - Qué buscar en una buena iglesia - Qué hacer cuando se encuentra una buena iglesia. Si necesita cuidado de niños, por favor envíenos un correo electrónico para hacernos saber cuántos y qué edades. 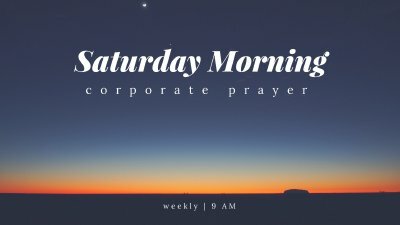 We meet every week for an hour to pray corporately on Saturday mornings. "Financial freedom" is generally used to describe the state of having sufficient personal wealth to live, without having to work actively for basic necessities. For financially independent people, their assets generate income that is greater than their expenses. Financial freedom is much more than having money. It's the freedom to be who you really are and do what you really want in life. Join us on this journey to find out God's plan for us to have Financial Freedom. If you need childcare, please email us to let us know how many and what ages. Discover your unique giftings for the Body of Christ and uncover how to walk out God's plan for your life by participating in the great commission. This group takes place Sunday mornings at 9:00 a.m., beginning September 9th. When did we start believing that God wants to send us to safe places to do easy things? Jesus didn’t die to keep us safe. He died to make us dangerous. The will of God is not an insurance plan; it’s a daring plan. It’s time to quit living as if the purpose of your life is to arrive safely at death. If you need childcare, please email us to let us know how many and what ages. We believe in three basic steps that lead us to becoming disciples of Christ: loving God, loving others, and serving the world. 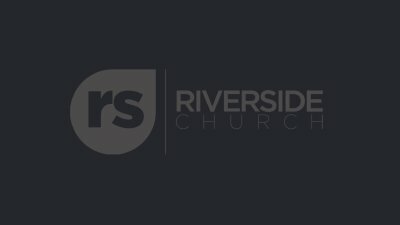 Growth Track is a one-session program that will teach you about Riverside Church's vision, enable you to join in and connect with this church body, and equip you to continue your journey of being a dedicated Christ follower. Growth Track is completed in one session. Email us to let us know if you're planning to attend, and we'll save you spot! Looking forward to seeing you there.